Have you ever wanted to exchange files, photos, or music with a family member or friend, but didnt want to go through the hassle such a task comes with? Well now you can skip over the internet downloads, and the lending of flash drives. 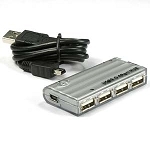 With the USB2.0 3 Port Hub with Direct File Transfer, plug each USB into a computer port and presto! 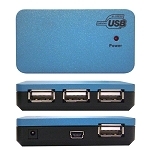 Youre good to go with the plug-and-play functions built into this USB unit. 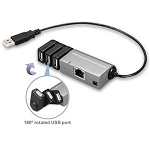 Supporting simultaneous operation of both USB 2.0 and 1.1 frame ware, the versatility of this 3-port data hub is perfect for a mobile PC environment. Breathe easy with over-current detection and protection design, and watch as files go from one computer to the next with ease. 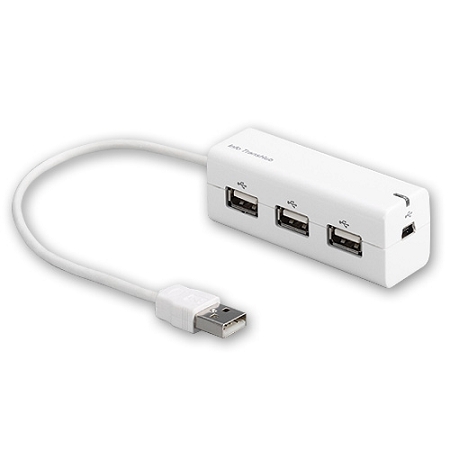 To sweeten the deal, a USB A to Mini cable is already included with the purchase of this USB 2.0 3-port product. For connection diagram, click the "More Information" tab.